A Digital Signage is a centrally controlled content distribution platform that is used to playback digital content to one or many displays. Digital Signage displays can be used to relay different types of information like TV, menus, live weather, news, flights, calendars, adverts etc. Retailers are increasingly using it within store windows to promote special offers. However, schools, colleges, hospitals and businesses around the globe like the system of digital signage Dubai use it for staff communications messages, to provide information to guests or as a branded TV channel. Digital Signage uses technologies like LCD, LED, plasma displays or projected images to display content. It can be installed in both public and private environments like corporate buildings, retail stores, hotels and restaurants among other locations. The reason why digital signage displays have become so popular is its engagement with the audience in a more effective way as compared to static signage. Visually striking graphics, moving images and the ability to instantly change the message ensure that all signage screens look attractive and relevant. 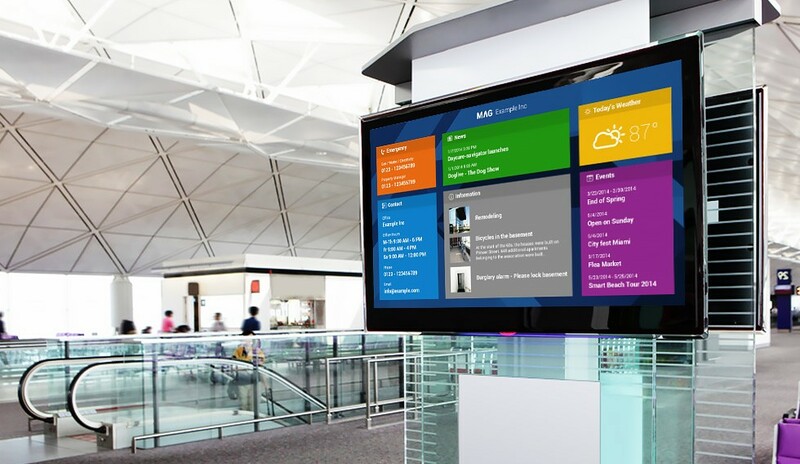 Digital Signage networks can be complex or straightforward controlling from one, two or three screens to however many screens that a person can handle. The zoning feature allows sending the same content to multiple screens. Digital technology is used highly in the present days. Digital signage Dubai is quickly gaining ground apparent with the signs and electronic advertisements in the city. It is gradually being used in a variety of settings and needs. The many forms of indoor digital signage are located in hotels, malls and the cinema halls. The most common type of indoor display is the digital poster. Hair salons and restaurants also use indoor exhibits. The outdoor digital signage is where there are a media player and an LCD screen. It includes large monitors, welcome displays, pricing displays and digital menu boards. Digital wayfinding and point of purchase displays are some of its other usages. The last form of the digital signage is the mobile one. It is the cheapest and the more widespread among the developing localities of the world. You can get your message communicated cheaply and effectively by targeting mobile handsets. Signage vests are commonly used to attract a target audience. The mobile screens suit young audience more. With the advent of the internet, digital signage in mobile handsets is quickly gaining popularity.